The US-based Blu has unveiled a number of affordable LTE capable smartphones, offering a decent set of specifications. 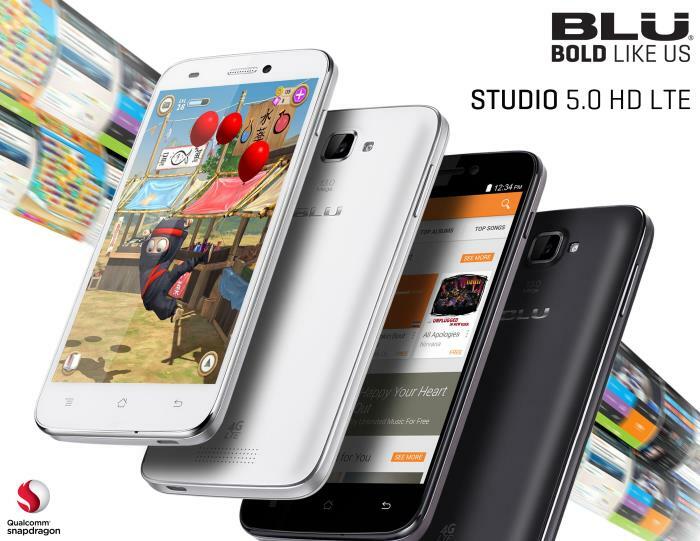 The list of handsets includes Blu Studio 6.0 LTE, Studio 5.0 HD LTE and Studio Mini LTE. As the name suggests, the Blu Studio 6.0 is the most expensive among the trio, and offers decent specifications. Blu Studio 6.0 features a 6-inch full HD display, a quad-core 1.6GHz Snapdragon processor paired with 2GB of RAM, 16GB of internal storage, and a microSD card slot which supports 64GB. Other features include 13MP camera for photos and videos, 5MP front-facing camera, a massive 3,200 mAh battery and ships with Android 4.4 KitKat as its operating system. The handset is available in unlocked flavors on Amazon in black and white color options for $279. Secondly, the Blu Studio 5.0 HD features a 5-inch display sporting a 720p resolution, a Qualcomm 8926 Snapdragon 400 clocked at 1.2GHz, 1GB of RAM, 8GB of expandable storage, 13MP camera, 5MP front-facing camera, a 2,200 mAh battery and runs Android 4.4 KitKat. Those of you interested in the handset can grab it from Amazon for $199. Last but not the least , Blu Studio Mini comes with a 4.5-inch 480 x 854 IPS display, a quad-core Snapdragon 400 processor, 1GB of RAM, 4GB of storage, 5Mp rear camera, a 1,850 mAh battery and ships with Android 4.2.2 Jellybean upgradable to 4.4 KitKat. It costs $119 on Amazon for the unlocked version, and comes in six different colors.